THE ORGANISERS FEATURE IN ‘THE MOVER’ FOR A SECOND TIME! The Organisers are delighted to announce that we have featured in The Mover for a second time! 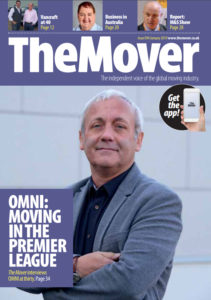 The article highlights The Organisers plans to partner with more removal firms to help their clients with our award winning unpacking service. If this could be of interest to you, get in touch with our Managing Director, Katie Shapley, or The Organisers team today on +44(0)207 078 7554 or email us on team@theorganisers.com. To read the full articles please download here.